Another trip to Caswell House, this time to install one of our favourite fairy light designs - a widthways canopy. 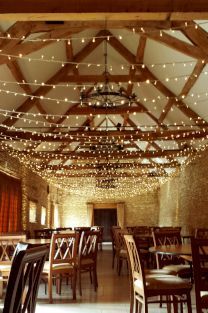 The lights are suspended side-to-side across the width of the barn to create a dense, sparkly canopy of lights over the entire dining area of Wenman's Barn. The fairy lights are bright enough to make an impressive impact during the day, but can also be turned down a little in the evening as we install them with easy to operate dimmer controls. 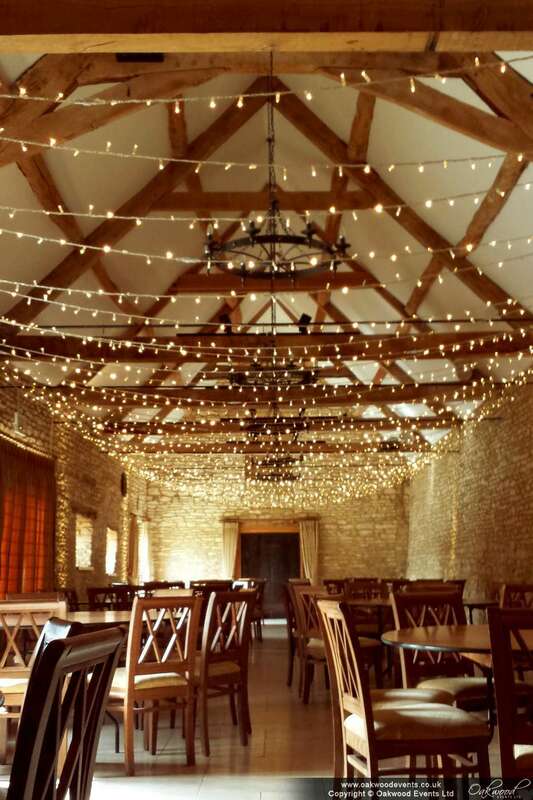 For more information on the various lighting designs we offer at Caswell House, please see our main Caswell House Lighting page, or feel free to contact us to discuss lighting options for your wedding.